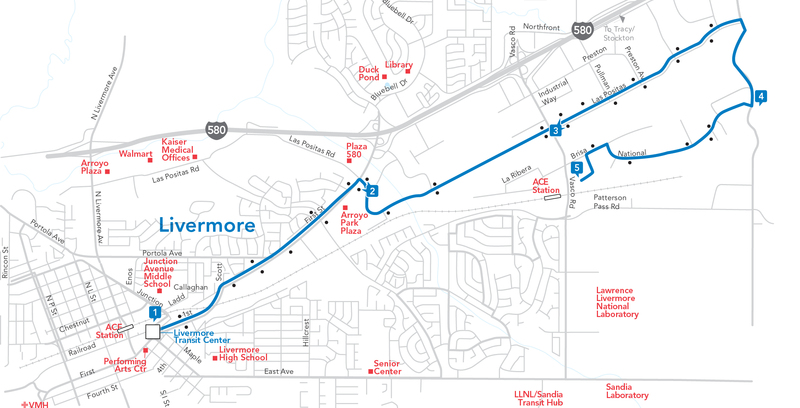 Route 11 is a bidirectional route between Livermore Transit Center and the Vasco Road ACE station, serving the industrial area in between. In the morning, the route connects to two ACE trains at Vasco Road, and another ACE train at the Transit Center. In the afternoon, it connects with three ACE trains at Vasco Road. *PDF’s are formatted as foldable brochures that are currently in use on the bus route. Don’t forget to select fit to page within your printer options.